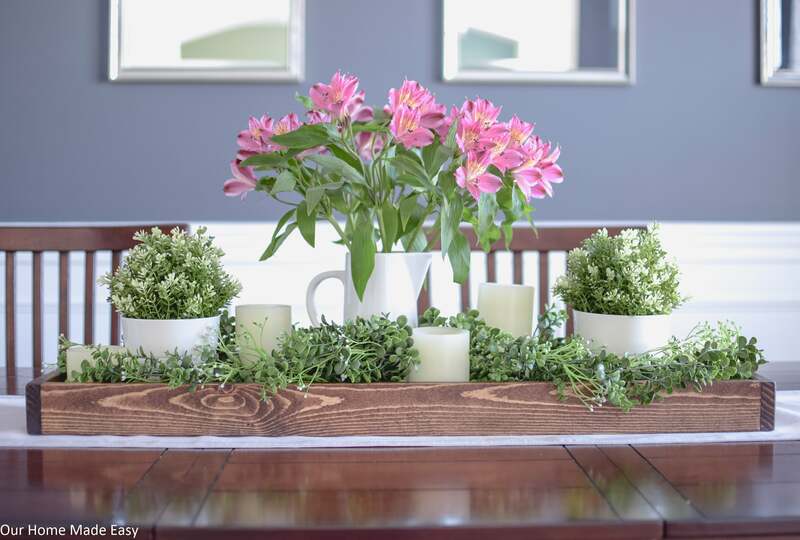 DIY this super easy Spring centerpiece in just 4 steps! 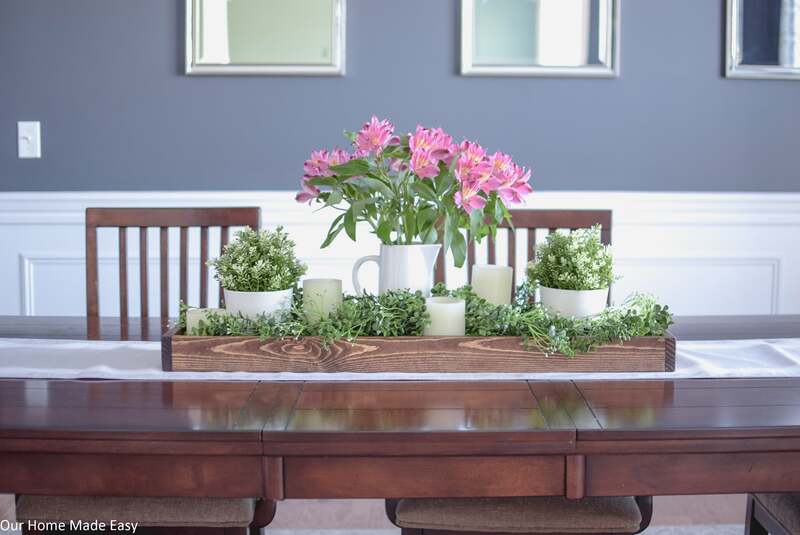 Learn how to make your own centerpiece with almost no decor skills needed! Before you go shopping, start looking around your home for inspiration and fill-in with a few new seasonal items! First, start with a base item that will contain your centerpiece. 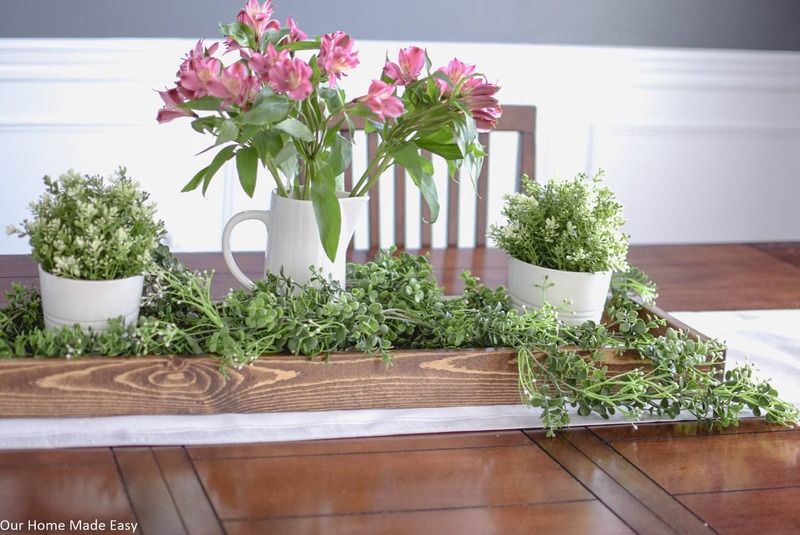 Whether you use a wood tray like I did (here is the $8 wood tray tutorial), or keep it simple with a runner, you need something that goes in between the tabletop and your centerpiece. 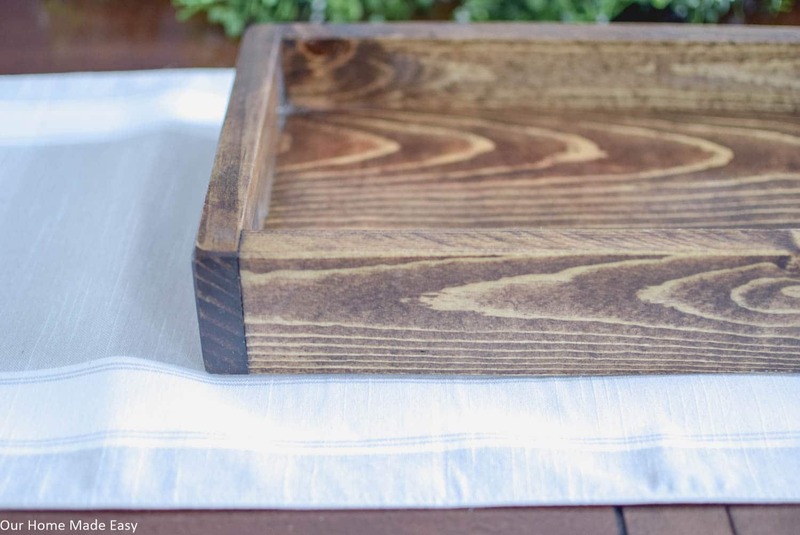 I love using wood trays around the house because they are so easy to move around! When it’s dinner time, I can move away our entire decor and put it back in place in less than 10 seconds! Next you’ll want to find a simple base that acts like the glue between your tray above and the height. 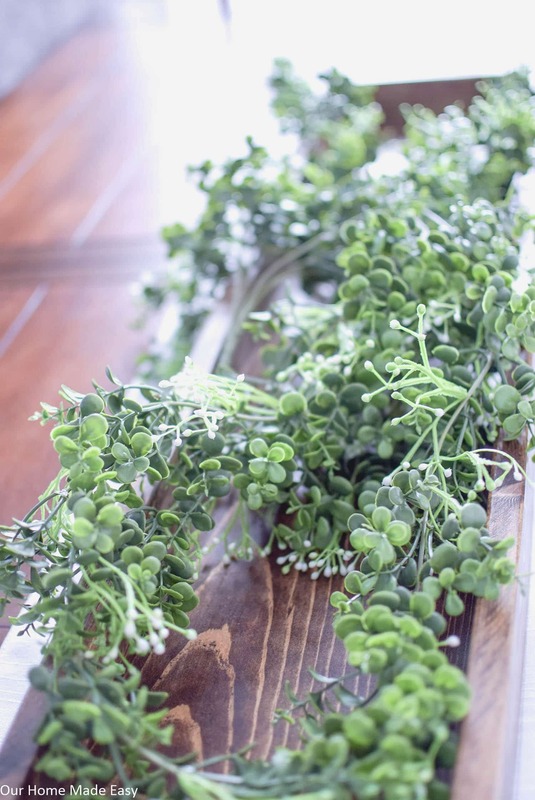 For this centerpiece, I used 2 strands of this greenery. 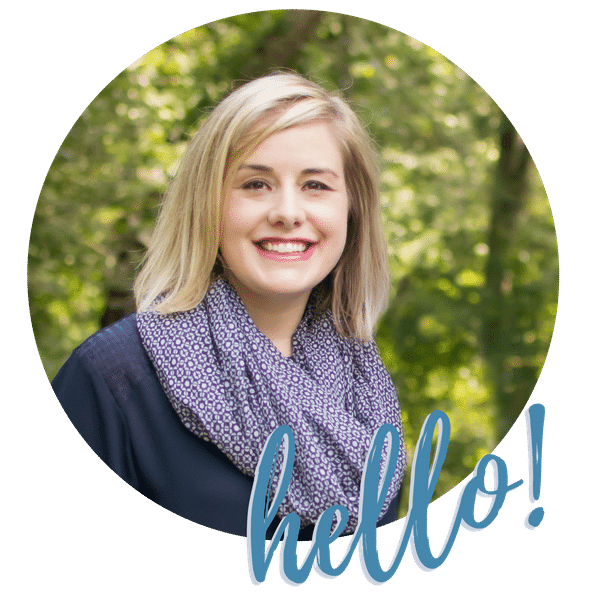 Not only is it super cute, but it’s perfect for several seasons, so I can reuse it over & over again! For my tray, I started in the middle with each bunch. Then I curves it like an “S” in opposite directions. Now the fun part! Using an even number, start adding in some height to your spring centerpiece. For mine, I used two faux plants I picked up from IKEA. For just a few dollars apiece, they have a new home every single season. Best investment ever. To add some extra height, I included a porcelain pitcher I found at Home Goods. Then I filled it with $4 Kroger flowers. If you haven’t found Kroger flowers, shame! I kid, I kid, but seriously — they have the best flower deals and these ones last forever! Lastly, it’s time to add a few small touches to your centerpiece. You already have a tray or runner. Then you added a base covering to connect the tray & your height. Now it’s time to fill-in any open spaces. I love to do this with something that I already have a collection of on-hand. I can count on always having a basket of faux candles nearby. Rather than go purchase something new, I set them up in the tray. Do you have a Spring-y collection that you could include to finish your tray? While the collection doesn’t need to be identical like my candles, ultimately you’re looking for a cohesive look. You could even build a little height by adding 2 small books with a neutral colored binding under one of your collection items! Once you add in your collection, tuck your base layer around everything. 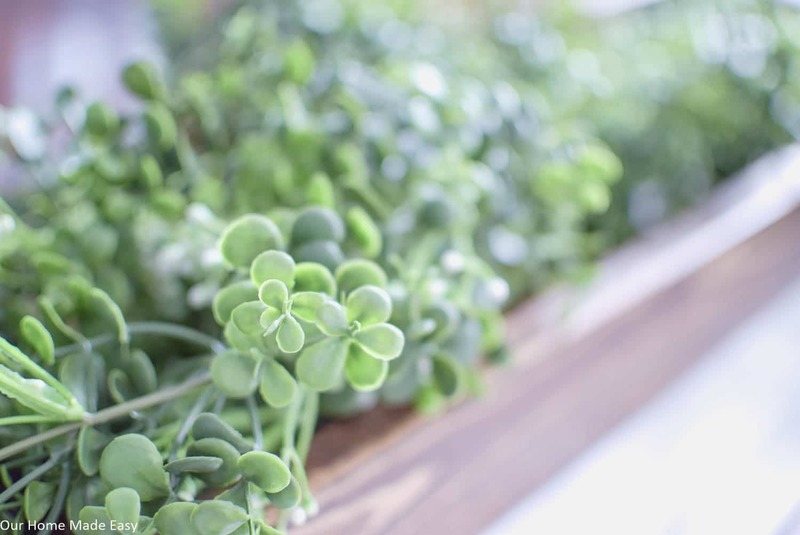 It doesn’t need to be perfect, but you’ll want to make sure you aren’t hiding your collection among the greenery! 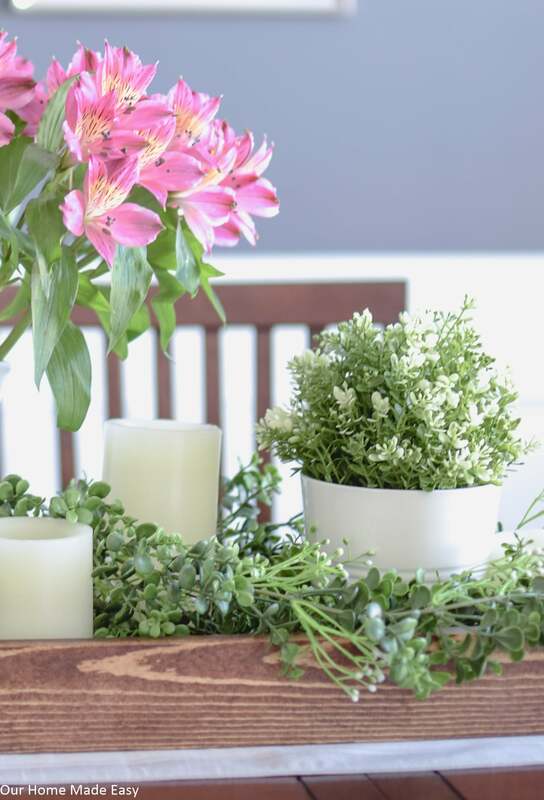 When it comes to creating your own Spring Centerpiece, don’t let yourself become overwhelms with how to create one that looks cute– but is still easy! 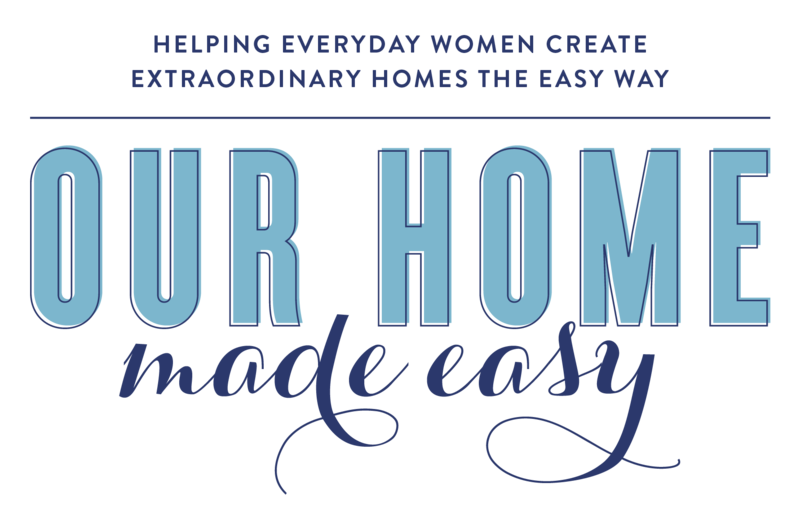 Start by shopping your own space and then pick up one or two new items!